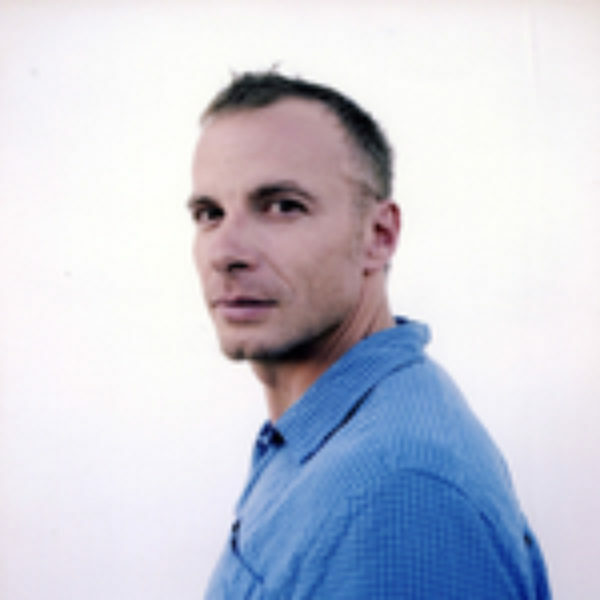 David Treuer is an Objibwe writer, translator, and professor at the University of Southern California. His books include the novels Little, The Hiawatha, The Translation of Dr Appelles, Prudence, and a book of criticism, Native American Fiction: A User’s Manual. He divides his time between his home on Leech Lake Reservation and Minneapolis. My guest is the novelist and translator David Treuer. He is helping to compile the first practical grammar of the Ojibwe language — one of the 90 percent of human languages that could be endangered in this century. David Treuer describes an unfolding experience of how language shapes us culturally, spiritually, and in relationship to the world around us. Some memories, he has found, can only be carried forward in time in Ojibwe. DAVID TREUER: What I really love about language revitalization, what is so key to it, is that it’s always been ours and it’s a chance to define ourselves on and in our own terms and in ways that have nothing to do with what’s been taken. We can define ourselves by virtue of what we’ve saved. MS. TIPPETT: I’m Krista Tippett. Language is a carrier of human identity. It is a vehicle by which we understand and express our very sense of self. For most of us, in our mother tongues, this happens unconsciously. My guest, David Treuer, has been compelled to reckon with the meaning which language holds as he strives to keep the tongue of his tribe, the Ojibwe, alive. In writing and life, David Treuer describes an unfolding awareness of aspects of his personality, of a sense of what brings him joy, an understanding of what makes him human that the Ojibwe language distinctly conveys. In a kind of backhanded acknowledgement of this power of language, the eradication of indigenous tongues was once a matter of federal policy in the United States. Today only about a third to a half of the native languages that were on this continent when Europeans arrived are still spoken, sometimes by a very small number of elders. 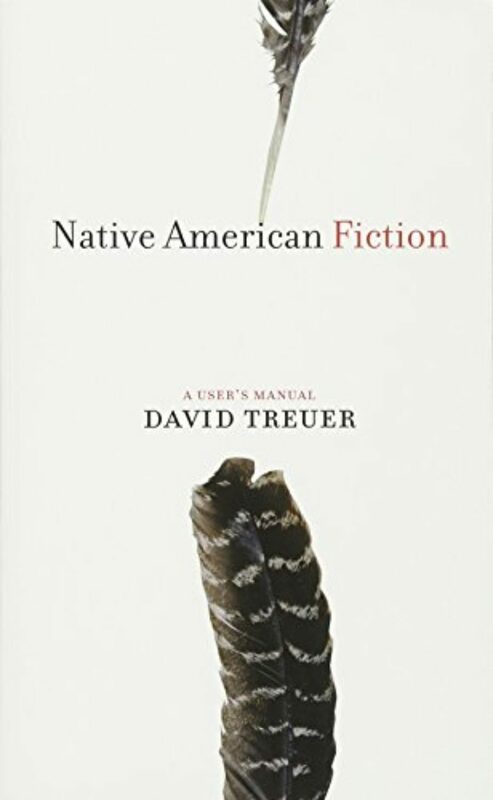 David Treuer is a novelist, translator, and Ojibwe Indian, who has written widely about the complicated role Native Americans play in the American imagination. When I spoke with him in 2008 he’d recently begun a project with his brother, the linguist Anton Treuer, to compile the first practical Ojibwe grammar. David Treuer teaches literature and creative writing at the University of Minnesota, and he lives part time on the Leech Lake Reservation in northern Minnesota. He grew up there, but did not become fluent in the Ojibwe language until he was an adult. In fact, David Treuer never imagined he would return to the reservation when he followed his brother to Princeton for college. MR. TREUER: So in those years, you know, in college, basically you learn how to talk and think about yourself, so that language seems to me to be an important part of that. I should say that my older brother felt this more keenly and more strongly and sooner than I did. And after he left — after he graduated Princeton, he moved directly back home and he devoted himself to learning Ojibwe. I saw that. I saw him doing that and I admired it so much, and I wanted to have relationships with these elderly Ojibwe people for whom English was a kind of secondhand clothing that they wore in public, but it really didn’t define them. It didn’t make sense to them. They didn’t express themselves well. And these were sort of these precious people that I wanted to understand, not on my terms, not on my college, Ivy League-educated terms. I wanted to understand them in their terms, and I wanted to share them. And really the only way to do that was through the language. There’s another aspect of it too, which is — and this is even more important, I think, for a lot of native people who are involved in language revitalization efforts — which is that a lot of times over the last 50 or 60 years, a lot of native people define themselves as native by virtue of what they’ve lost, you know? MR. TREUER: I’m native, because I’m poor, because I’ve, you know, because I was “forced” on a reservation, because I drank powdered milk and grew up in HUD housing, because I’ve lost my cousins, because I’ve struggled with alcohol or whatever. And there’s validity in that, there really is. But what I really love about language revitalization, what is so key to it, is that it’s always been ours. It’s never been given to us. Our native languages aren’t forced on us. And it’s a chance to define ourselves on and in our own terms and in ways that have nothing to do with what’s been taken. 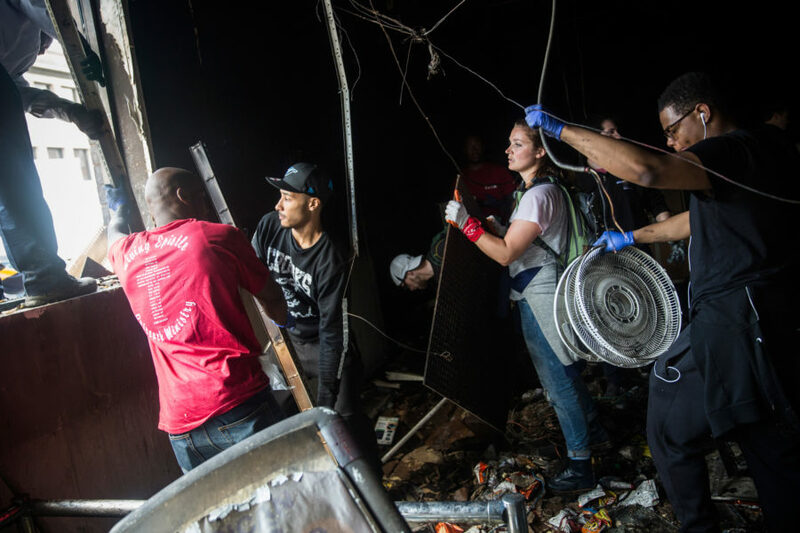 We can define ourselves by virtue of what we’ve saved. MS. TIPPETT: So when you talk about language revitalization, and I think you are referring to the same thing in a positive way. Most people talk about endangered languages, rescuing endangered languages, but one of the things, when scientists do this or anthropologists, you know, one of the things they’re trying to figure out is how speech influences thought, whether grammar is innate or learned, and how all of this forms who we are. I’m curious to hear from your knowledge and kind of coming back to Ojibwe and learning it as an adult, how you experience those propositions about how language is about more than speech. You know, one thing you said is that Ojibwe is dominated by verbs. MR. TREUER: Yes, it is. MS. TIPPETT: That intrigues me. So what difference does that make? MR. TREUER: Well, we’re going to talk loose here in ways that I think — who’s that linguist from MIT? He wrote The Language Instinct. MS. TIPPETT: Is it Steven Pinker? MR. TREUER: Steven Pinker, yes. So I’m going to talk loose and easy in ways that Steven Pinker would not appreciate probably. He thinks there is language instinct. He thinks grammar is hard-wired and no languages contain a special way of knowing something that another language wouldn’t contain. There are some interesting aspects of that argument, but what Ojibwe affords in terms of how it inflects thought process, well, like you say, it’s two-thirds verbs. It’s a very active, fluid language, but it possesses a kind of nuance in terms of how it can create or describe and then pose and reinvestigate actions and relationships between people and things. MS. TIPPETT: I mean, this is the kind of thing that, especially in one’s mother tongue, you don’t even think about and I don’t even know what the relationship is in terms of — what’s the percentage of nouns to verbs in English. MR. TREUER: I don’t know. MS. TIPPETT: But can you give me an example of an idea or a thought which would be transformed or nuanced in a different way if you were saying it in Ojibwe by this prevalence of verbs? MR. TREUER: Gosh, you asked me a really hard one. MR. TREUER: So it has a triple play both in “be yourself for me” and “blink and coast for me” and then just “fly for me,” at the same time. So there’s a kind of wordplay in that little children’s ditty, which is really a wonderful example of the kind of magic in the language where you can make words do so many things at the same time. Now, you can do this with any language. You can make words do double and triple duty that one shouldn’t write, but Ojibwe does it in a way that I think is, that is quite special. MS. TIPPETT: Author and translator David Treuer. 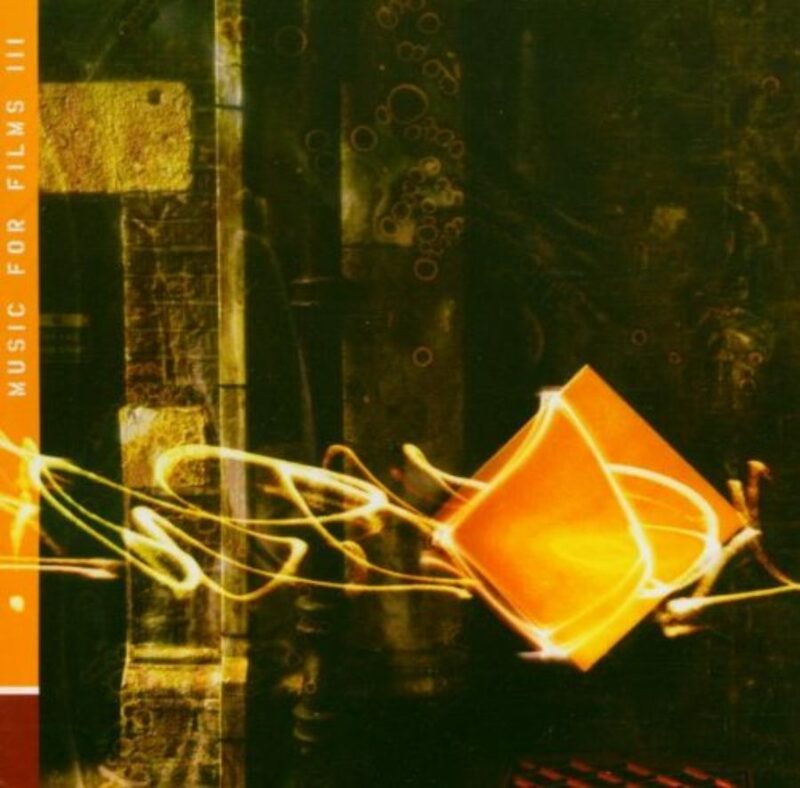 I’m Krista Tippett, and this is Speaking of Faith from American Public Media. Today, “Language and Meaning: An Ojibwe Story.” The Ojibwe word that translates in English as “namesake” is one example David Treuer gives of how his tribe’s spiritual culture is distinctly borne by its language. MR. TREUER: When you’re given an Ojibwe name, you have seven, eight, nine namesakes. You have one person who’s running the ceremony, and the others participate in the ceremony. The word for a namesake, both the person running the ceremony and these other attendants in the ceremony, is niiyawen’enh. Niiya is “my body,” the idea being that when you’re giving somebody a name or receiving one, you’re partaking in their soul. You’re basically gifting somebody a portion of your soul, which will reside then in that other person’s body. MS. TIPPETT: And that is something that’s a piece of knowledge, a piece of your identity that you carry with you through your life? MR. TREUER: Yeah, yeah. All those names, ’cause you can get anywhere from just one to six or seven at that ceremony, which usually occurs ideally when you’re quite young. So when you give someone a name, you’re giving them part of your soul. And when you accept a name, you’re both accepting the soul given and you’re giving part of your own. 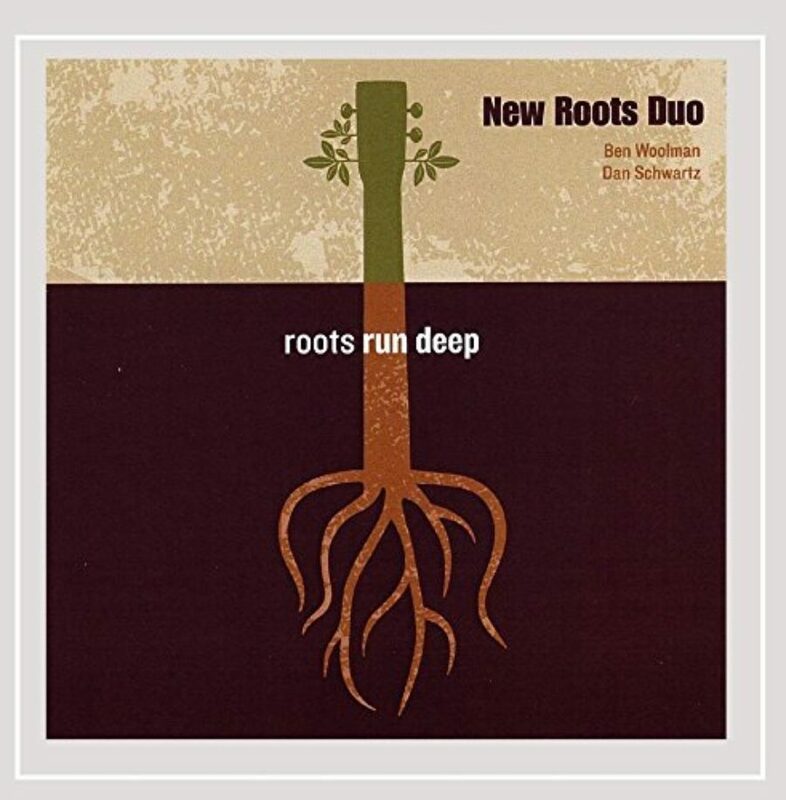 So you’re connected in ways that are profound and meaningful and communicated by the very word which the English translation “namesake” doesn’t really cover. MR. TREUER: So those are the kind of understandings which are obvious to the Ojibwe speakers. 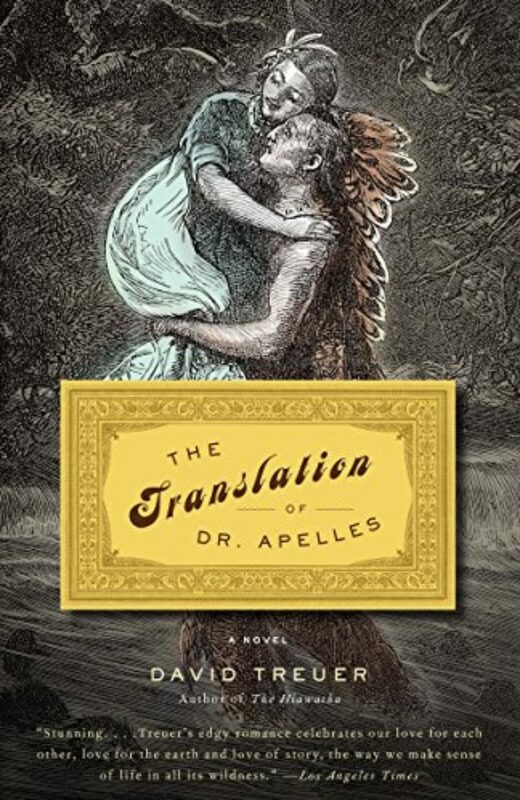 MS. TIPPETT: In your novel, The Translation of Dr. Apelles, he is described as a different person — feeling like a different person when he speaks the language of his tribe and others. He can joke, he can flirt, and then there’s this very evocative phrase. You say, “These languages lend themselves to memory.” Explain that to me. MR. TREUER: Well, myths and ideas about Indian people often obscure the true dimensions of our lives, and that’s very much the case for Dr. Apelles. He’s kind of shy and not very stoic and a little pudgy and super-smart, but not very personable, and, um, lives in a city and works as a librarian of sorts at a very strange library. His life does not conform to any of the ideas that most people have about Indian lives. And part of the reason is that those ideas are ideas that people have, at least in the context of America in English. So English is almost the language that we have for storytelling about Indians. It’s almost his enemy, or it’s certainly not helping him express his truest self. It’s these other Native languages, which he both had as a child and acquired as someone studying linguistics, that he feels more comfortable in because he doesn’t have to do combat in those languages with the trove of notions and icons and images and ideas that attend Indians in English. In these native languages, he is unburdened of all of those things. And he is — he becomes sort of newly made in them, and it’s easier for him to more accurately remember his past. Because the danger is for native people too and also for my character is that where it’s likely to misconstrue ourselves perhaps in English. MS. TIPPETT: And that does speak to this idea that a language carries more than words. I mean, I think what you’re saying also is that, while English can tell some of the narrative and the story of what happened to native people, certain memories are only going to be kept alive in those tongues. MR. TREUER: That’s true. And in the Ojibwe context, two other things are kept alive in those tongues, two very important things. One is ceremonial life. Ojibwe ceremonies are very rigidly enforced. And this runs counter to the idea of native spirituality as kind of an emotional and spiritual free-for-all where you just have to feel it. You can just feel it, be it, and do it. Ojibwe ceremonies run counter to that notion where they’re really tightly controlled in some ways and orthodoxy plays a big part in those ceremonies, which really doesn’t jive with idea. MS. TIPPETT: Give me an example of what orthodoxy would be in a ceremony. MR. TREUER: Two examples. One, in certain Ojibwe ceremonies, you cannot do the ceremonies in any other language than Ojibwe. Two, you cannot use any kind of modern form of technology to preserve them. And you can’t talk about them either outside of the ceremony. But you can talk about their reasons and rationale in that the substance of the ceremony itself is largely concerned with the idea of transmission and of human-to-human and spirit-to-human transmission of knowledge and healing as communicated through legends and songs and procedures. So those ceremonies can’t be done in any other language. They can’t be written down, they can’t be recorded, you can’t videotape them. So if the language goes, those ceremonies, which are essential to who we are, they go. 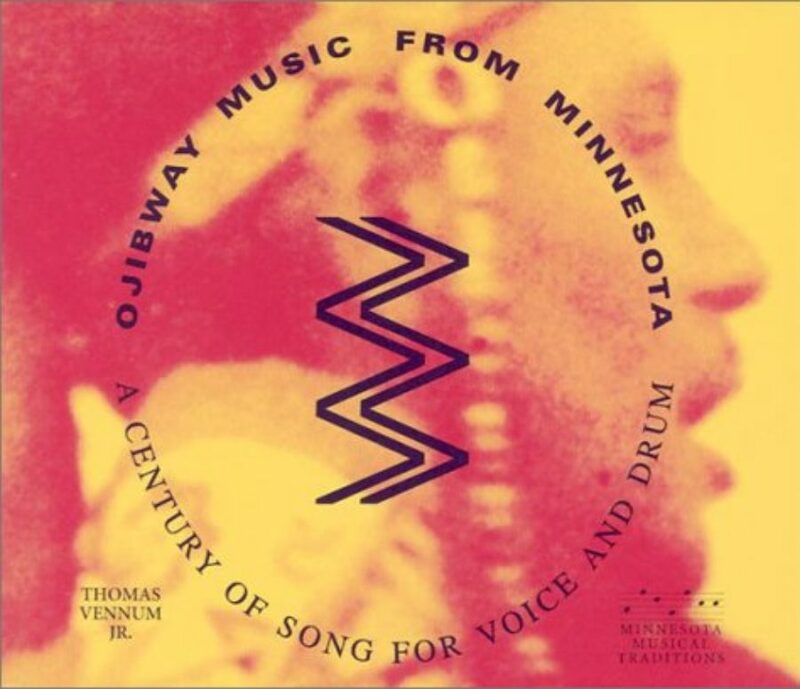 MS. TIPPETT: This is a live recording of the Leech Lake Intertribal Singers performing at the Beltrami County Fairgrounds in Bemidji, Minnesota. MR. TREUER: In fact, there was an old man named Archie Mosay. Archie was born in 1901. He started in his ceremonial commitments when he was 14, in 1914, which he continued to his death in 1996. Archie was running one of these ceremonies, and my brother saw this where Archie was very frustrated that people weren’t understanding what was supposed to be done in the ceremony. And he was frustrated with the level of their commitment. He was very uncharacteristically frustrated, because he was a very gentle, mellow, kind guy. So he left the ceremony enclosure, sort of a wigwam of sorts, and he got up from his place in the wigwam and he walked outside and stood there and he says in English, he said, “I had to come out here, because I can’t use English in there. And I can’t use English in there, because the spirit does not understand me when I speak English. But I want you to understand me, and that’s why I’m speaking English.” Then he started to sort of yell at people in English. So there’s that, but there’s also this issue of — and this is a political issue too around language — of our sovereignty, of our tribal sovereignty. MS. TIPPETT: Ojibwe sovereignty, tribal sovereignty, mm-hmm. MS. TIPPETT: … in terms of languages disappearing. Some have said that half to 90 percent of the languages now spoken on earth might disappear in this century. MR. TREUER: Yeah, I’ve read that too. MS. TIPPETT: On this continent, there were something like 300 tribal languages at first contact with Europeans and now only — I think you wrote this — only about 100 are left. Only a handful will remain by the end of this century. Ojibwe will be one of those. MR. TREUER: It will be. MS. TIPPETT: Is there something in Ojibwe culture or language that has made it more tenacious? MR. TREUER: I don’t think there’s anything. I wouldn’t privilege the language in terms of something special about it that has ensured its survival, but there are a couple factors. In fact, it’s such a complicated language and it was, by the way, in The Guinness Book of World Records as being the most difficult language to learn. Now, I don’t know how do they decide (laugh)? OK, you’re job is to learn every language and tell us, which one was — which one was hardest. So I think actually it’s a vote against it. It’s a difficult, complicated language. A given verb can have 4,000 different forms by the time you’re done monkeying around with it, and that’s not an exaggeration. Someone did a count. And so it’s actually a difficult, difficult language to come to as a second language learner, which makes its survival a little more precarious than a language that might be easier. I don’t know what languages might be easy. All languages are both easy and hard. We all acquire them, and they’re all difficult at a certain age. But I think what Ojibwe had in its favor mostly was geography. That until very recently, our communities in the northern United States — in Minnesota and Wisconsin and Michigan, but particularly in Ontario and Manitoba — were incredibly hard to get to. MS. TIPPETT: Really? You think that’s part of the explanation? MR. TREUER: Hugely, a big, big, big, big part of it. Absolutely. MS. TIPPETT: Because it was isolated? MS. TIPPETT: Dangerous for languages, I guess. MR. TREUER: It’s dangerous for languages. So is satellite TV, which is very widely used on these remote reserves now, by the way. Everyone watches the Discovery Channel and Spike (laugh) Spike TV, so geography helps. And the ceremonies help too. This idea that language and spirituality were so closely related they couldn’t be separated, and for those Ojibwe people who remain traditional, who didn’t want to convert to Christianity, language then became something that they also held on to. Here are some sounds of a classroom in northern Minnesota where students are taught exclusively in Ojibwe. MS. TIPPETT: Listen to recordings of several Ojibwe speakers at our Web site, speakingoffaith.org. And check out our blog, SOF Observed, where we involve you in the production process. This week, read about the evolution of this program from a vague idea at a staff meeting all the way to the final mix you’re hearing today. Look for links to SOF Observed and much more at speakingoffaith.org. After a short break, more conversation with author and translator David Treuer and stories from his Ojibwe grammar project. Also, where U.S. culture once sought to unify language as a way to build civilization, David Treuer says that the flourishing of civilization in this century may depend upon a capacity to live graciously with differences that languages keep vital. MS. TIPPETT: Welcome back to Speaking of Faith, public radio’s conversation about religion, meaning, ethics, and ideas. I’m Krista Tippett. Today, ” Language and Meaning: An Ojibwe Story.” We’re exploring the perspective and stories of novelist and translator David Treuer. His work offers a window into the world of his native tribe, the Ojibwe, and also illuminates the layers of knowledge, culture, and identity that language can hold. The Ojibwe language is spoken today by about 50,000 people, concentrated around the Great Lakes region of the U.S. and in Ontario and Manitoba in Canada. David Treuer grew up on the Leech Lake Reservation in northern Minnesota. But he has only become fluent in the Ojibwe language as an adult, and he has become part of a larger movement to make it a vital part of the life and education of the next generation. MS. TIPPETT: So you and your brother Anton have initiated this project to record, transcribe, and translate Ojibwe speech, to compile the first practical Ojibwe language grammar. Tell me how you’re going about that. MS. TIPPETT: And to do that, you are speaking with elder — usually, right? Elderly? MR. TREUER: Yeah. Usually elderly, yeah. Ojibwe elders from Wisconsin and Minnesota and Ontario mostly. MS. TIPPETT: And you’re kind of deciphering how the language works from hearing them speak it? MR. TREUER: Yeah. I mean, we try to — and my brother’s a lot better at this than I am, because he’s a lot more fluent, but you try to maneuver the conversation into not often traveled grammatical trails. MS. TIPPETT: That’s interesting [laugh]. MR. TREUER: See, you try to maneuver it not just saying, “Oh, this is what happened to me,” so you have a first person past tense story. “When I was a kid, I went to the store and then I saw him.” So you have first to third person. “Then he ran into this other guy,” which brings you to a weird Ojibwe verb form, which is third person to fourth person. You have a fourth person. MS. TIPPETT: Well, how does that work, the fourth person? MR. TREUER: Well, fourth person is, “he said to him.” So someone who’s removed from the action of the story, but involved, so it’s another remove in time or action. Those are very few, but as opposed to, “Well, what we said to you all” was different than “what they said to me,” and so you have, you know, second person plural to first person, then third person plural to first person and then you have sort of dubietive actions, “might have gone,” “should have,” you know. “They might have come but didn’t.” There’s a whole special tense for something that was going to happen, but never did. MS. TIPPETT: Do we have that in English? MR. TREUER: I don’t know that we have it with the same kind of precision that we have it in Ojibwe. MS. TIPPETT: Right, and that sounds different. MR. TREUER: So like, “I was going” is like “I’m going [Ojibwe spoken].” “I went [Ojibwe spoken].” “I was going to go [Ojibwe spoken].” “I was going to go but didn’t [Ojibwe spoken].” And it’s still one word. What I spoke was not a sentence, but just a word, which has sort of accreted all of these different parts. So the trick is to gather as many different examples of our grammar as they occur naturally in conversations and from as many different places and dialects as we can and to then we collect them. We record them basically and then transcribe, right them down, then translate into English. MS. TIPPETT: I’m curious. As you embarked on this adventure of speaking with people and listening to them, what have you discovered that you never expected, that has really broadened your imagination about this word “Indian,” for example? Give me a story or a particular people. MR. TREUER: Yeah. There were these two guys who were first cousins that we’re recording. They’re from a small village on the Red Lake Reservation called Ponemah, which is a very remote village. It held onto language and to traditional customs in ways that other villages and other communities in the region had difficulty hanging onto. But there’s these two cousins, one guy named Tom Stillday — everyone calls him Tommy J — and his cousin, Eugene Stillday. They’re very different in terms of personality and outlook and so on. But we’ve been recording them both and we went to Tommy J’s house — he’s also my daughter’s namesake, by the way. His cousin Eugene was telling the story about when he was a kid and his family was laid low by the flu — his parents, siblings, everyone, but him. In this small shack, in the village of Ponemah, dead of winter, snow is deep, and he describes sitting by the woodstove. He couldn’t get the lantern going. His fingers were too cold, and he was too scared. And he couldn’t get the kerosene lantern going. He must have been eight or nine years old. Everyone’s unconscious on the floor. People knew about the flu. People died from it back then, especially native people. This would have been probably in the ’30s. He described sitting by the stove, which had a little grate on it, and that the only light in the cabin was coming from the grate. He describes the way the flames were flickering and how he sat there just holding onto that light as the one thing that was keeping him from freaking out, and that it would light up in flashes his family, none of whom were moving on the floor. And that all of a sudden, in comes Tommy J’s father, Eugene’s uncle, who came in and then just took Eugene and walked him through the snow back to his house and gave him some bread — he hadn’t eaten in three days, he said — and some water and then went back to Eugene’s family and stayed with them and kept the fire going and got them healthy again and none of them passed away. None of them died. I don’t know, but what was special about it was just this sense of family and kinship. Now, it didn’t have anything necessarily to do with the Ojibwe, but the telling of it in Ojibwe was just very meaningful to me. 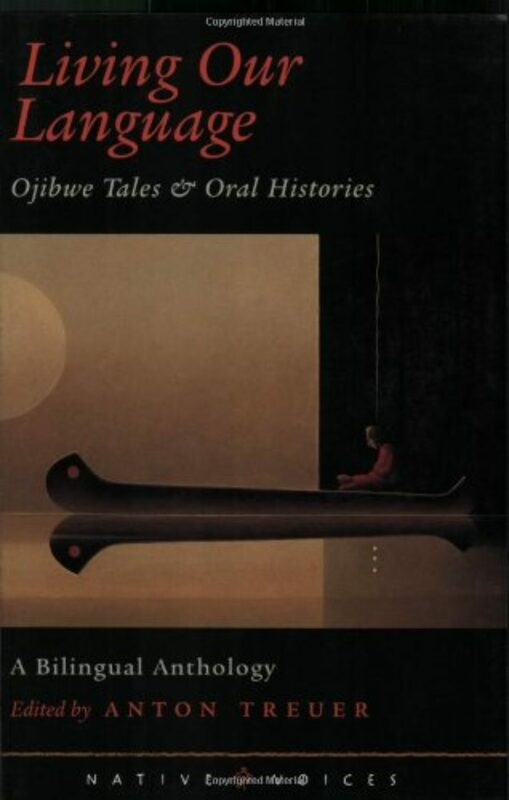 I don’t know how to explain it, but it was like the memory of both that terror and that salvation was kept alive in equal measure, you know, in Ojibwe in a way that was so beautifully drawn by Eugene, who’s such an amazing, beautiful speaker of the language. It gave me a glimpse of what life was like, how hard it was, but how close families were and still are, of course. Too, it gave me a picture of the time that I’ll never experience and a portrait of the kind of poverty, a kind of vulnerability that goes with that kind of poverty, that also I’ve never experienced. MS. TIPPETT: This is taken from the recording David and Anton Treuer made of Eugene Stillday, telling his story. MS. TIPPETT: You know, something I was thinking about as I was reading you, and it’s occurring to me again as I’m hearing you speak, another program we’re working on, looking into the legacy of Rabbi Abraham Joshua Heschel. It’s very important to him, this teaching from the Talmud, that words create worlds. I hear that in the story you just told, and even as you’re telling it, you’re grasping for the words to describe what it was and yet it comes through. It’s kind of — it’s mysterious. MR. TREUER: Right. You know, the same idea that words give life, you know, is also something you find in Ojibwe culture, in one part of the creation story, you know, we were made out of fairly inert materials, and we had no life until touched by sort of the breath of the Creator. We were blown on, and then came to life. And this link, of course, between language and breath, speech and breath, is very much alive in how the ceremonies, Ojibwe ceremonies continue. Ojibwe ceremonies are based around sort of two things. Mostly either legend-telling, for one thing, and storytelling, but a very particular kind. And also song. And there’s very much a sense that this song being sung as part of the ceremony is going right from both the vessel of the drum being used into the singer, or through the singer and then directly into the body of the person receiving the song, and the words and, of course, the tune, one would hope. But the words are communicating and giving that person life as we were given life originally. You once wrote that, if your language was lost, if Ojibwe were lost, we will lose beauty. MS. TIPPETT: What do you mean by that? What is in your mind when you say that, and in your heart? MR. TREUER: Well, like that story I was talking about that Eugene shared with us is one example of that. You know, maybe I could draw on a different tradition, which would be a French literary tradition to explain it better, but Marcel Proust said that, particularly speaking of writing novels, said that nothing really exists in and of itself in a book, that characters and situations and places only take on life by way of contrast. That’s how novels build themselves are through creating contrasts and intentions, resolutions and more contrasts and intentions. I think the same could be said for life, that nothing exists in and of itself. Everything exists only by way of contrasts. So in and of itself, I think Ojibwe is beautiful. Just the animal sound of the language, how it flows, to the kinds of trickery that those words themselves can bring out, like the example of the firefly I gave you. But also in contrast to the English with which we are surrounded, Ojibwe seems all the more precious, you know, all the more beautiful. MS. TIPPETT: Right. I think you might look at the narrowing down of the number of languages in the world as kind of a natural process? It would be possible to say that that’s even progress, right? That it comes with technology and with a more unified world. I could imagine someone making that case and then saying, you know, the question would be that I think you were giving an answer to that question of why really, although it might be tragic to you, it might be tragic to people you know, why should this ultimately matter to people who don’t speak this language and know nothing of it and whose identity is not formed by it? MR. TREUER: Yeah. I think great advances in communication, for instance, maybe brought the world closer together. This might be a cynic’s point of view, but it brought us close enough to really hurt each other in things like the First World War, Second World War, and more recent endeavors. It hasn’t led to sort of, you know, a great love-in and mutual understanding. Now there is, of course, progress in some ways naturally, but if all languages were to die out and be replaced with one — there were movements and sort of Utopian movements along these lines. Esperanto was one of them, right? MS. TIPPETT: Yes, Esperanto. Mm-hmm. MR. TREUER: The idea that if we all spoke the same language, there’d be no misunderstanding. I don’t think that’s true. In fact, I don’t think misunderstanding is the culprit here. I think the culprit in terms of conflict, you know, deadly or otherwise, is the sense that we should all be doing the same thing. I think that we’re quite happily and busily doing different things and that’s in fact healthy. MS. TIPPETT: So the culprit is an inability to live creatively with difference. MR. TREUER: Perhaps so, yeah. MS. TIPPETT: You know, you wrote an article in the L.A. Times, and you tell a story in there. You described a moment of kind of epiphany. You were spearing with friends on a lake in their treaty area. I mean, I do, first of all, want you to talk about what it meant that you were spearing, and how does that activity figure in? What in itself does it mean? MR. TREUER: Well, I was spending time with two friends from Lac Courte Oreilles Reservation in north central Wisconsin. On Lac Courte Oreilles and in that region, they’ve retained, they’ve fought for in fact, starting in the ’70s and concluded recently — fought for and retained their off-reservation treaty rights, many of them. One of those treaty rights is the right to harvest fish, particularly walleyed pike, with using “primitive” methods; that is to say, spears and nets and to do this before the state season opens, the state angling season. Now all the spearing and netting is very tightly controlled by the tribe and monitored, and people tend to guard this right and to use it wisely. So although I’m Ojibwe and I’m from a different band from a different region and my band did not sign that particular treaty, so I cannot spear fish in that particular area. So, I was just hanging out. Basically, I was drinking coffee and they were spearing. And so, you know, for them, it’s many things at once. They’re practicing a treaty right which was denied them for many, many years. So it’s a political act to go out, to go to the boat landings and offload their boats and to go spearing on lakes ringed with the resort homes of wealthy Americans in northern Wisconsin and to be heckled and shouted at and have things thrown off docks at them. MR. TREUER: These things have happened. It happens. It happens with some regularity. And people shouting things, my favorite epithet, shouted at Ojibwe people spear fishing in a treaty area, “Indians, go home,” which I just think it’s so funny [laugh]. In any event, so it’s political, spiritually too. Whenever an Ojibwe person takes something — this is one of our few instructions — is to, you know, always, at least in our cosmology, honor the other beings. The fact of the matter is that those fish were here a long time before we were, right? I mean, humans evolved many millions of years after these fish did. So the fish are our elders in a sense and respect is owed them as elders in a way. So you harvest the fish. You kill them with spears is probably the best way to put them or you trap them in nets, which also kills them. You fillet them and then the first bunch you eat for the season, you’ll have a feast and a small ceremony, usually it’s just a family thing, where you’ll give thanks to and for the fish. But it’s a way of becoming closer to them. MS. TIPPETT: It’s so interesting. I mean, it’s counterintuitive. MR. TREUER: It is counterintuitive. So there’s a sense that, you know, you can become closer, if you want to put it another way, by killing. And there’s actually another Ojibwe idea about that where when people have lost a loved one and they go into mourning, they go into official mourning, it’s only a veteran who can bring them out of their official mourning. MS. TIPPETT: It’s only a what? A veteran? MR. TREUER: A veteran, someone who’s been to war, the idea being that, since they’ve taken life, the phrase that people use in Ojibwe use is “to touch blood,” that only those who have touched blood can wash away someone’s sorrow, because they’re so intimately related to it, right? And with the fish, it’s a similar kind of relationship. To really know them, you become related by the taking and the giving, because then the fish is disbursed to people who don’t fish, and it’s also a chance for one’s ancestors to come back and to eat the food that they would have eaten in their lifetime, to feed them. So this is done for fish, it’s done for the first batch of maple syrup, it’s done for first kills in the fall, you know, in terms of animals that one might shoot, deer, ducks, rabbits, things like that. It’s done particularly for wild rice, which is our biggest food and probably our most important food. MS. TIPPETT: So the moment of epiphany, you’re drinking coffee while your friends were spearing and what happened? MR. TREUER: Well, we were in the boat, it’s dark, it’s foggy, and we were just chatting and speaking Ojibwe and also speaking English too, sort of diving back and forth between the two. These are two guys who have been instrumental with a group of other people in starting an immersion school on that reservation, which is an Ojibwe-language immersion school which has had fantastic success. I mean, these two guys and their families and the people they work with, and there’s a big long list of them, have done amazing and important work, so I admired them both a lot. They’re both really funny too, so we’re having a good time. You do your spearing really close to shore in the shallow water, so we’re maybe 15 or 20 feet from shore. Most of the houses are boarded up. It’s April and the vacationers haven’t come back to their cabins yet. But a few of them are occupied year round, and somebody must have had their window open. I could see lights flickering in the house, that sort of eerie blue glow of someone’s television. I could hear the program they were watching. They were watching David Letterman and the Top Ten List was on, the Top Ten countdown. It just seemed so out of place and so impermanent and so weak, thin, and just passing, as passing as the fog that night — that compared to how permanent the endeavor of spearing with these guys felt, you know. This was something we’d been doing for so long and still doing and still doing with and in the language and still respecting the fish that we knew were supposed to be respected, that felt permanent in comparison. That felt everlasting. I felt our language can’t possibly die, not with people like this, not while doing something like this in this place. We can’t possibly lose it. And I don’t always feel that way, but I felt it then, and I feel that more often than I feel scared that we’re going to lose it. MS. TIPPETT: David Treuer is a novelist, essayist, and translator. His books include The Translation of Dr. Apelles and Native American Fiction: A User’s Manual. He divides his time between the Leech Lake Reservation and the University of Minnesota, where he is an associate professor of literature and creative writing. In closing, here is one of the friends with whom David Treuer was spearing that day, Keller Paap, singing a song about snaring rabbits with the students at his Ojibwe immersion school, which has been in operation since 2002. David Treuer and I had a wide-ranging conversation about his life and work, and one part of that conversation that didn’t make it into this program was the fascinating story of David’s father, an Austrian Jew who fled the Holocaust and ended up on the Leech Lake Reservation, where he met David’s mother. Hear David Treuer tell that story in our complete unedited interview, or download a free MP3 of this program at speakingoffaith.org. The senior producer of Speaking of Faith is Mitch Hanley, with producers Colleen Scheck, Nancy Rosenbaum, and Marc Sanchez. Our online editor is Trent Gilliss, with Web producer Andrew Dayton. Special thanks this week to Anton Treuer, Keller Paap, and Tom Robertson. Kate Moos is the managing producer of Speaking of Faith, and I’m Krista Tippett.